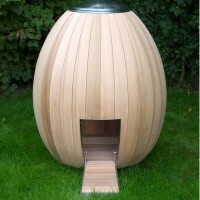 The nogg is a modern chicken coop that has been designed in the shape of an egg. 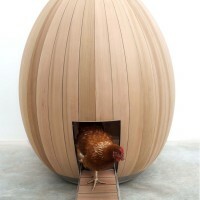 It has been designed to house from 2-4 chickens and is to encourage domestic farming while adding a touch of playful elegance to sit beautifully in any garden, urban or rural environment. 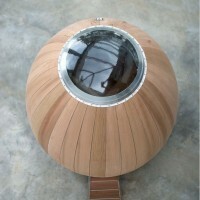 The nogg is designed to enhance and compliment it’s surroundings and fit sculpturally with this aesthetic assumption. The nogg aids and advocates the provenance of homegrown foods. Chicken keeping has become a huge trend in the last 18 months and makes an ideal pet with benefits that delivers fresh eggs in the morning. 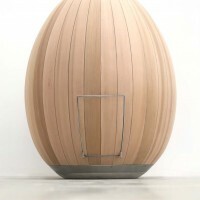 The nogg is an enterprising collaboration between furniture designer and engineer Matthew Hayward and Creative Director Nadia Turan. It is a great example of how a random thought became a reality when a number of friends and relatives were excited about keeping chickens. It was upsetting to all of us how ugly, badly constructed and rudimentary the chicken coops were. It sparked a debate as to why we should be lumbered with an eyesore in our gardens. 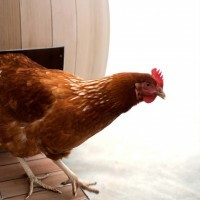 We decided to come up with an alternative chicken coop and a brand that would surprise and delight you just as much as those first fresh eggs will. It wasn’t long before we thought of the shape and design details and after an arduous, stressful year the nogg (prototype 01A) hatched. Engineered and crafted by hand in the UK the nogg is made from strong cedar wood which is fresh scented and naturally antibacterial. 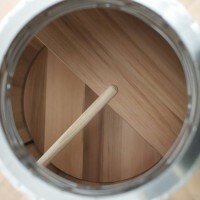 Stainless steel trimming, locks & fasteners and the elevated glass dome gives the nogg a contemporary feel and is reassuringly safe and durable. 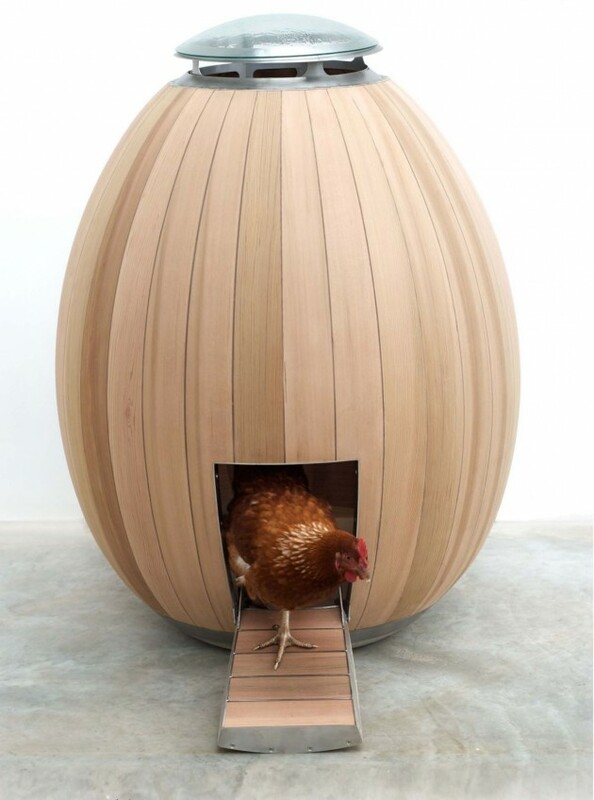 It is Matthew Hayward’s ability to mix precission engineering with his inate empathy for materials and craftsmanship that makes his work quietly brilliant and makes this a beautiful and unique object above and beyond being a pretty cool chicken house! Visit The Nogg website – here.